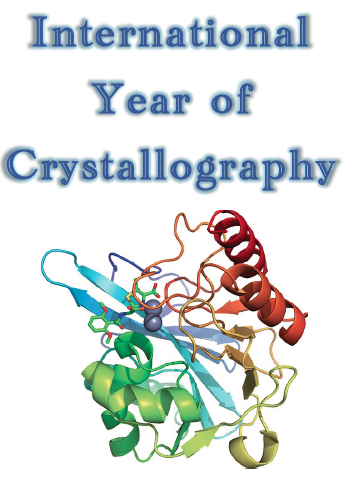 In conjunction with the Senior School Science Department, the Junior School Library hosted an exhibition of crystals to help celebrate the International Year of Crystallography. 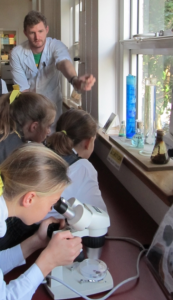 Students observed live crystal gardens, discovered the crystalline structure of ice, viewed fluorescent minerals and diamond structures. The experience provided an amazing opportunity to discover and learn about the power of crystallography. To get the exhibition up and running it took a good deal of planning and setting up by Tom the Science Lab Assistant who spent several weeks growing crystal gardens and sourcing crystal related materials and specimens. To make the exhibition as ‘hands-on’ as possible microscopes were set-up and information relating to each of the exhibits was linked via QR Codes. Students were keen to scan the QR Codes with iPads and find out more via video clips and website links. Students also enjoyed taking photos of the crystals and exhibit items and creating posters using Pic Collage.